Need to pick up some outdoorsy holiday gifts? Make sure your gift counts! 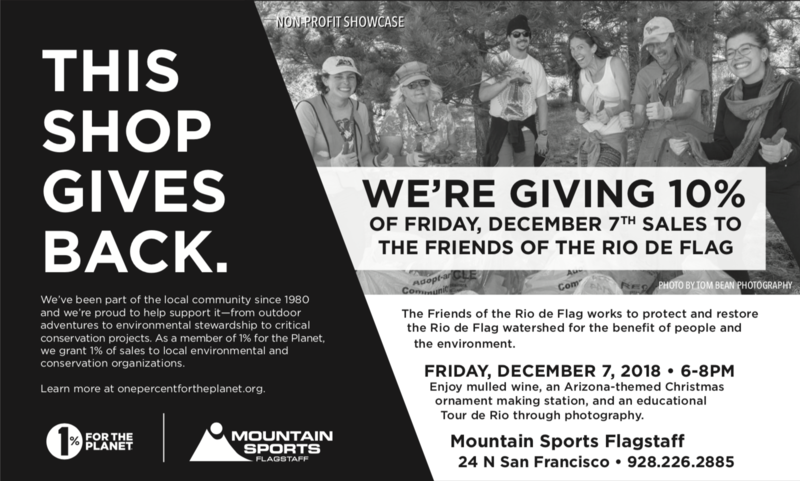 Save your purchases for December 7th (First Friday) at Mountain Sports when the shop gives 10% of sales to Friends of the Rio. We will have Arizona-themed Christmas ornament making, mulled wine and hot cocoa, and a “Tour de Rio” through photography from 6-8pm. 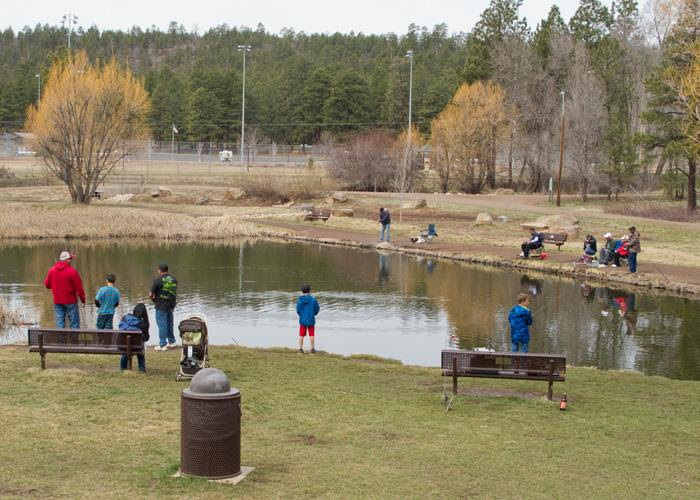 The Friends of the Rio de Flag is a nonprofit that works to protect and restore the Rio de Flag for the benefit of Flagstaff. Support your river and shop with us on December 7th! Mountain Sports is located at 24 N San Francisco Street in downtown Flagstaff.